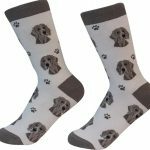 You are absolutely going to love these Weimaraner socks! Why? There are so many reasons! These socks are high-quality, with great detailing, and the material is wearable year round. Plus, they are one-size-fits-most, which means both men and women can enjoy these socks. 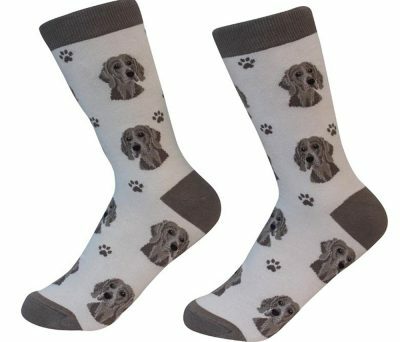 Made of soft combed cotton and polyurethane, these socks are both soft and lightweight, making them breathable. What makes these socks even better? 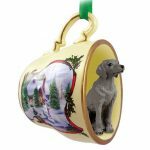 Proceeds from each pair of socks sold helps benefit animals in shelters to find new homes. Our Weimaraner socks consist of varying shades of brown. Brown fills the heel, toes, ankle area, and paw design that is shown throughout the sock. 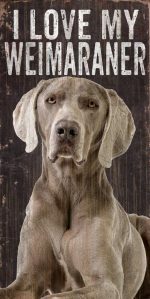 The background is a light brown and illustrates the Weimaraner breed’s face in it’s standard features and color. Hang with your dog all day and show everyone your Weimaraner love!